WHO IS THE DRAGON SOCIETY? The Martial Arts were founded upon the science of Traditional Chinese Medicine (TCM). Once you know how to apply these to the techniques in your system, your capabilities increase exponentially and immediately! 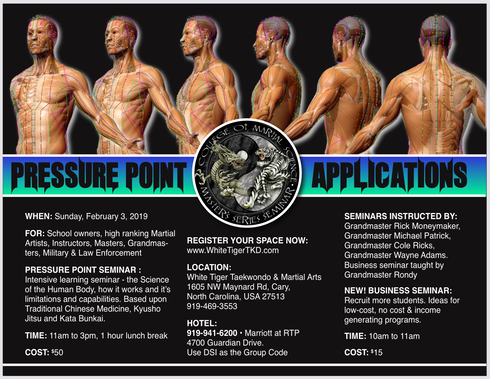 Sure, there are others out there claiming to do Pressure Point techniques, but that is all they have...some techniques. 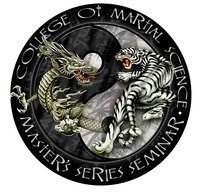 It takes a lot more than that to be effective and truly understand what is hidden within the Martial Arts forms! This is where we excel! With DSI, you will learn OVER 200 principles which you can apply to any and every technique, regardless of your style! You don't have to stop doing your style; make it even more effective with our system. Many of you have invested the rest of your life times studying and refining your art. Click here to purchase Dragon Society materials: Charts, DVD’s Books, etc.